Actually: Theories are neither hunches nor guesses. They are the crown jewels of science. One day, it’s Megyn Kelly who has a theory about why Donald J. Trump hates her. Another day, the newly released trailer for the next Star Wars movie inspires a million theories from fans about who Rey’s parents are. In everyday conversation, we tend to use the word “theory” to mean a hunch, an idle speculation, or a crackpot notion. That’s not what “theory” means to scientists. In my experience, physicists use the word "theory" quite lightly, and call things theories when there is not a shred of evidence. Scientists use the term just like the general public. Neither use the word to mean a "hunch". In the above layman examples, a theory is not a hunch. I might say: I have a theory for how Trump might win the nomination. That means I have some plausible scenario for how it might happen, but not that I necessarily believe it. 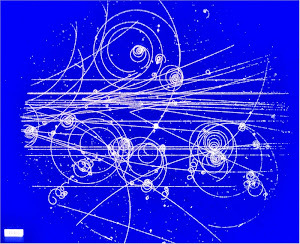 I might say: Feynman had a theory that there is only one electron in the universe, going forward and backward in time. Again, this is not a hunch, but a possible way of thinking about matter that might be a consistent alternative. I might say: I have a theory that Hillary Clinton takes orders from Wall Street bankers. Again, I don't necessarily believe it, but I will be on the lookout for when she acts against the interests of those bankers, to see whether this is a useful model of her policies. It could be a useful model, even if she never talks to bankers. I might say: Some physicists have a theory that we live in a simulation. This doesn't tie together any facts, or explain facts, or predict anything. It is just a stupid thought experiment. I might say: Lisa Randall has a theory that dark matter wiped out the dinosaurs. That offers an explanation, but the evidence is so weak that I am not even sure that she believes it herself. To indicate that something is a crackpot notion, sometimes people use the term "conspiracy theory". 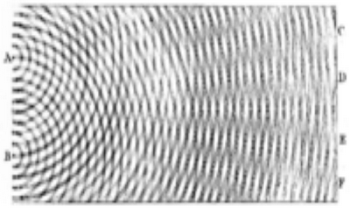 For example, someone might say that there is a conspiracy theory that physicists are promoting super-powerful RSA-breaking quantum computers as the inevitable consequence of proven quantum mechanics. I do not really agree with that usage, because it puts the emphasis on the secret agreement to deceive, and there may not be one. It makes more sense to say that there is a conspiracy theory that the Moon landing was faked. Such fakery would have required a massive secret agreement. It is the conspiracy allegation that makes it a crackpot notion, not saying that it is a theory. Dr. Miller is one of the few scientists to have explained the nature of theories on a witness stand under oath. He is a co-author of a high school biology textbook that puts a strong emphasis on the theory of evolution. In 2002, the board of education in Cobb County, Ga., adopted the textbook but also required science teachers to put a warning sticker inside the cover of every copy. “Evolution is a theory, not a fact, regarding the origin of living things,” the sticker read, in part. In 2004, several Cobb County parents filed a lawsuit against the county board of education to have the stickers removed. They called Dr. Miller, who testified for about two hours, explaining, among other things, the strength of evidence for the theory of evolution. So while Miller did offer an explanation of the meaning of the term "theory", that testimony was explicitly rejected by the trial and appeals courts. I don't know why evolutionists are so insecure about evolution being a theory, or why they are always lecturing us about a definition. They say we have a misconception, but they are refuted by their own examples. Evolution is an unbrella term that include various concepts, ranging from the trivially obvious to wild speculation. Apparently the leaders in the field are trying to trick us into accepting all of it by telling us that it is a theory so it must be true. People that quickly dismiss conspiracy theories are people that cannot refine their understanding. I always like to ram things like that down people's throats because they simply reject the enormous amount of conspiracy evidence all around us. You people are like children that never learned to read. In general, discussing the theory of evolution is pointless, since it is constantly changed to fit new data that threatens to contradict it. If I could change/adujsut my theories moment by moment, I could claim to be right all the time too. I wasn't aware the 'theory' of evolution could explain the origin of living things at all. At best it can only explain how living things change within the same species over time, not where they originated from, or how life started. Carl Sagan screwing around with a big glass tank full of the base components of organic life and applying electricity was the last attention I ever paid to people who think "it just randomly happened" is a scientific cause of anything. I feel the same away about the Big Bang. It's a bunch of WAG hooey dependent upon spontaneous (astronomically improbable, i.e. miraculous) events no less supernatural (multiverses, math as a physical force, anthropic principles, quantum tunneling b.s., etc. )than the mythologies of creation they wish to replace with their own biases which places them like a priesthood between people, their money, and their respective governments. I'm much more impressed with science being used to concretely improve life on our world than politically driven egotistical atheists using tax payer money to bash the beliefs of spiritual faith. I'm beginning to see why maybe science should be privately funded, it would keep the objectives of scientists humble and prevent them from achieving their collective dreams of being a technocratic elite. Ever since scientists started feeding en masse at the government spigot, science has become highly politicized, and humility has gone out the window in favor of the most amazing displays of hubris.